Alexey digs deeper into many of the catalog tables and stats that are already recorded, including cache hit ratio, deadlocks, and load. Some of the issues behind scaling Postgres to querying tables containing huge numbers of rows. Postgres 9.6 added support for parallelizing some query operations and armed with a 72 core server, David Rowley set out to see if all 72 cores would come in handy. 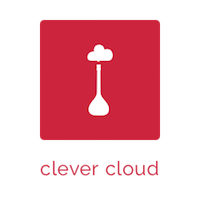 Clever Cloud is a Polyglot and scalable PaaS, saving thousands of souls from server management since 2010. Host your data with a rock-solid PostgreSQL for production in Canada or Europe. We’re still months away from Postgres 10, but the likely headline feature is already known: logical replication and partitioning. .. is slower than accepting the second table scan (unless the table can’t fit into memory). Sequences are used by default in Postgres for primary keys, but as highlighted here there’s more you can do with them if needed (in certain use cases such as common with multi-tenant apps). Taking advantage of PostgreSQL’s support of JSON to overcome a traceability constraint. Adjusting a Linux I/O scheduler to get the best performance and then measuring the impact of those changes with pgbench. DreamFactory turns your Postgres database into a comprehensive REST API. Free and open source, try it now. Store files/objects up to 4 TiB in size.